The Jundt Art Museum includes the Jundt Galleries, a 2,800 square-foot gallery that can be divided into several exhibit areas; the Arcade Gallery, a 1,288 square-foot lobby for exhibit space, and the Chancellor's Room, a 1,450 square-foot exhibition lounge. The Museum also includes a print study room for Gonzaga's print collection. 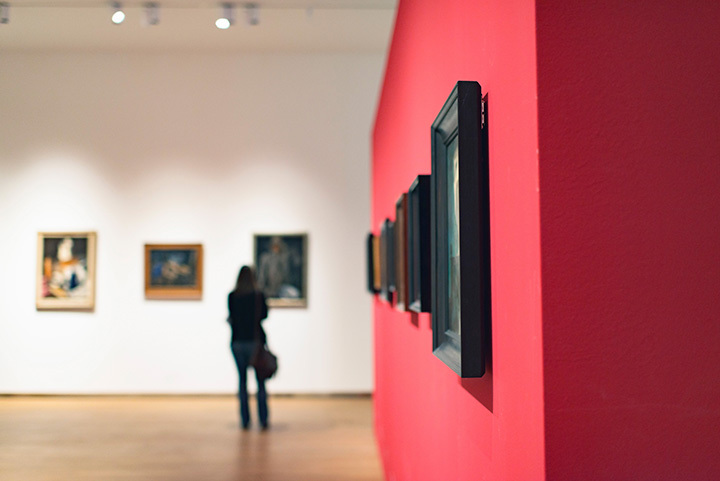 The Museum provides space for traveling exhibits and houses Gonzaga University's growing art collection. The collection includes prints from the Bolker, Baruch, and Jacobs Collections, gifts of Norman and Esther Bolker, Anne Baruch, and Jack and Kitty Jacobs, respectively; major pieces of glass art by Dale Chihuly, gifts of Jim and Joann Jundt and Duff and Dorothy Kennedy; bronze sculptures by Auguste Rodin, gifts of the Iris and B. Gerald Cantor Foundation and Collections; and paintings, ceramics, photographs and tapestries. The collection pieces are periodically rotated from the storage vaults to the exhibition areas.